I have a small crop of ají dulce. 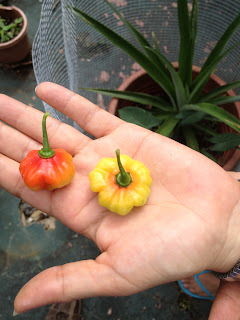 It's a pepper, and it's sweet. If it were pointy on the bottom, then it would be hot. I'm glad to FINALLY!! have something to show for all my work.